Multipurpose aerobar mount for hydration, computers and nutrition. Simply add a carbon XLAB TORPEDO CAGE and a standard water bottle, and you will not only reduce your aero drag but also have fluids readily available. To go even faster, add the TORPEDO REFILL UPGRADE KIT with folding straw. Light & Aerodynamic - Aerospace designed by XLAB to be structurally and aerodynamically sound. Moves bottle into most proven aerodynamic position. 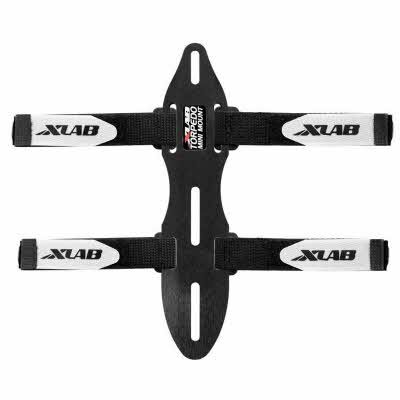 Optimal mounting position - Mounts truly horizontal to the aerobar, and designed to be level with your arms. Optimal computer mounting position – Most forward room of any competitor designed to have computer in line of sight for minimizing head movement. Easy install & removal – No tools required and with simple non-stretch, non-slip silicon straps.